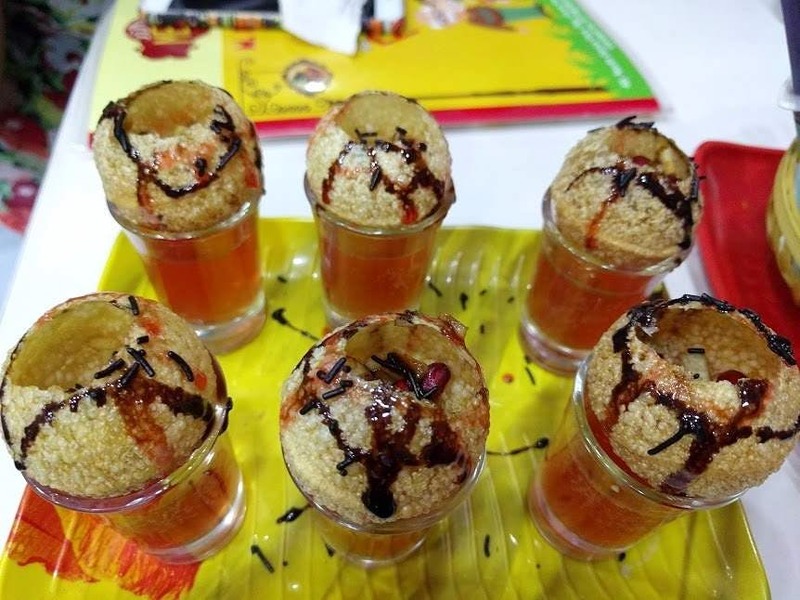 Try Quirky Fusions Of Oreo & Injection Poochkas At The Poochka Wala! People of Kolkata have unconditional love towards Poochkas. Traditionally prepared with stuffed potato and Pudhina water, this has been a favourite snack bite for all generations. It is economical, tasty and favourite street snack for many. But with the progress of time and people of Kolkata are quite welcoming to taste different food and flavours. Hence the newest fusion place for all the Poochka lovers is opened in Girish Park by the name of Poochkawala. This eatery offers different varieties of Poochkas and with different permutations and combinations, the experiment works to an extent. The price is on the higher side compared to a roadside stall but for once or twice a month it is worth a try. The beauty lies in the presentation and the manner in which it is served. With more than 40 flavours you can just sit, relax and munch from corn to oreo Poochkas. The flavours just remain with you and you will enjoy it completely. Please go ahead and experience this eatery joint and trust me you will not be disappointed.